Nearly all of your wedding day and evening is spent at the venue of your choice and you want it to look stunning. The LED uplighting can make a plain looking wall or ceiling look amazing. 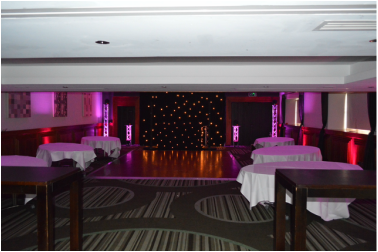 LED uplighting makes your venue look elegant. You could have the lighting to the colour scheme of your wedding. You can choose the lights to stay static on one chosen colour or you could choose them to scroll nicely through different colours. The choice is yours !